If you follow us on our social channels (and if you don’t, well–why not?!? 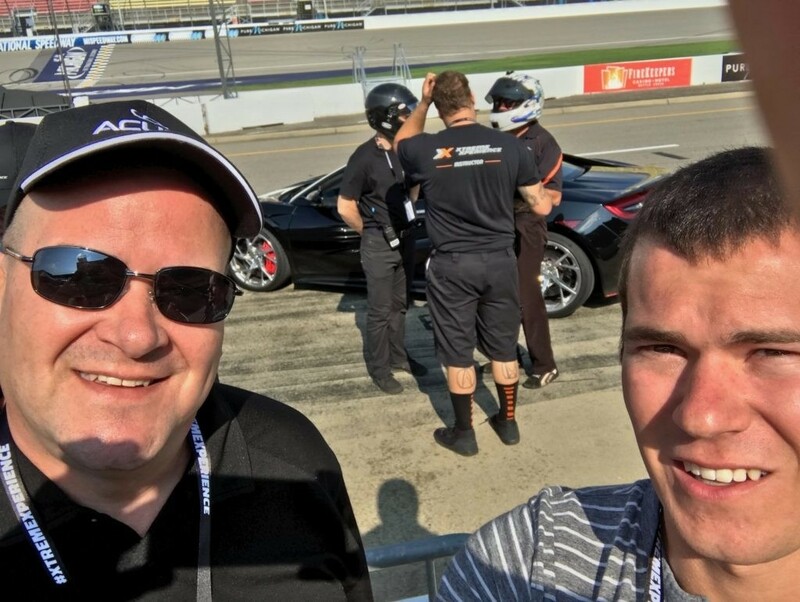 ), then you noticed we recently gave away a free trip to the Michigan International Speedway for one lucky customer to test drive the 2017 Acura NSX on the race track. 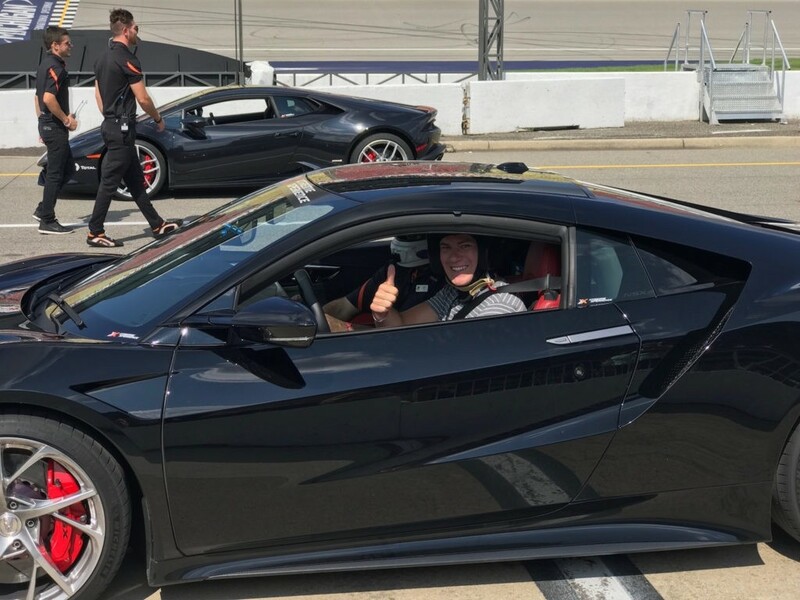 No strings attached, just an awesome way to spend a weekend. 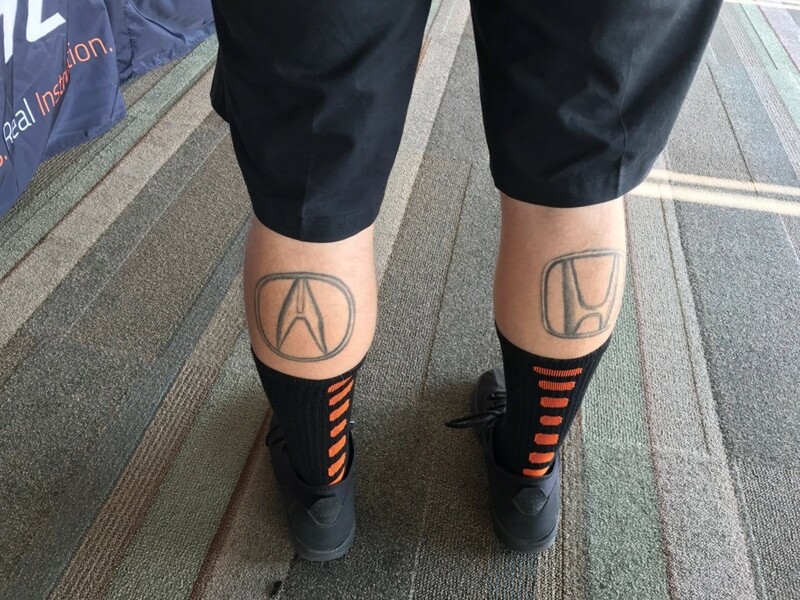 Steve met multiple pro drivers while at the race track, and met one so passionate about the Honda brand, that he had the Honda and Acura logos tattooed onto his calves! If you want to be in-the-know on awesome giveaways we do, follow us on Facebook, Twitter, and Instagram!